Should You Hire an Online Fitness Coach? If you are self-motivated on online fitness instructor may be a good option for you. Hiring a personal trainer who actually motivates you to do squats and burpees sounds great in theory, but it may not be an option for you. It might not fit your budget. Maybe you can’t easily find time in your schedule, or you prefer the home gym you have in your garage instead of a fancy boutique workout space. A few years ago, for me, it was about the money—or lack thereof. I decided that I didn’t want that to stop me, however, so I hired an online coach to help take my fitness journey to the next level by training me for my first (and only) bikini competition. She was great, and in many ways, I credit that experience with igniting the passion I now have for health and fitness. Online training isn’t for everyone, though, and some online fitness coaches aren’t as great as their websites make them out to be. So how do you decide if you should take the dive into virtual training? Here’s what you need to know. Maybe you’ll have an initial consultation on the phone or via Skype to talk about your goals, or maybe you’ll communicate over email or an online system. Either way, you’ll go to the gym on your own with the workouts the coach has created and report back on your progress. Online coaching is less expensive than in-person. An online coach can support you and help you stay on track with your fitness goals. Perhaps the biggest pro of online fitness coaching is the cost. It won’t drain the wallet nearly as much as an in-person trainer and therefore makes personal training accessible to more people. In my experience, a personal trainer in a gym can range from $60 to $75 an hour on average (depending on where you live and what gym you go to, of course). If you want to work with a trainer three times per week, that adds up to $720 to $900 a month. On the flip side, online coaching programs that provide five days’ worth of workouts could be as low as $200 a month. For someone who’s a self-starter, an online trainer can provide a great option for accountability and guidance. If you’re used to working out on your own but need help formulating a workout regimen, having a trainer to support you and report to weekly or biweekly can help you get and stay on track to reach your goals. Online training is also more flexible. 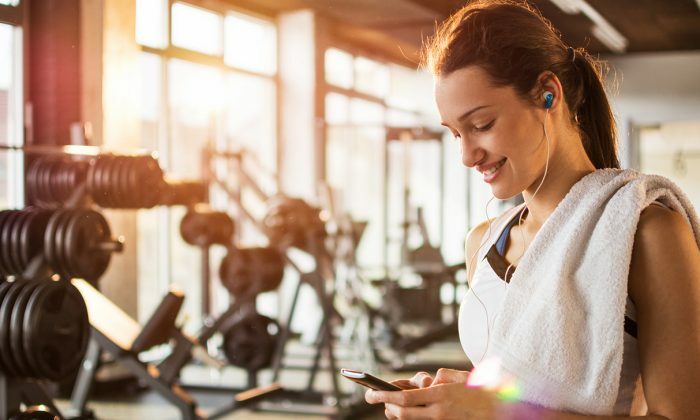 If you can’t make it to the gym during normal hours or on a consistent schedule, or want the option to work out at home, a virtual fitness coach and plan may be for you. Plus, if you’re dying to work with a trainer who lives in Los Angeles and you live in Florida, online coaching can make that possible. There’s no in-person help or support. The quality of online trainers may vary. One major con is that you get no in-person help. Maybe your squat form isn’t quite perfect, or you’re not familiar with what a rear delt fly is. Not having a fitness professional there in person to support you during each workout could cause frustration or even lead to injury. Take this into account, especially if you’re new to working out. An online coach also can’t provide in-person accountability. If you’re someone who prefers real-time interaction, you may struggle. Also, with no set session to make it to every week, it may be easier to skip a workout here or there, or even slack off while exercising. There’s also a gray area when it comes to certification and qualification of online trainers. If a personal trainer has been hired at a gym, they’re at minimum certified through a major institution like National Academy of Sports Medicine, American Council on Exercise, or International Sports Sciences Association. They will follow a safe and established protocol and have a basic understanding of how personal training should work. This doesn’t guarantee they’ll be good at what they do or that you’ll see results, but it’s a start. With an online coach, the potential for poorly executed personal training that won’t help you, or that even harms you, is higher. Bottom Line: Should You Hire an Online Fitness Coach? You’re not a complete beginner. You’ve done a squat or two before and know what a superset is. You have no problems motivating yourself to get to the gym consistently. You’re willing to do the extra research to understand what you should be doing and how. Yeah, what the heck is a rear delt flye anyway? Google it and watch YouTube videos before you hit the gym to ensure you’re executing the exercise properly. If you can check these boxes, start your quest for an online trainer by doing research. Check out websites and Instagram accounts, read reviews, and do some initial consultations. Often, you’ll be able to gauge just how serious and effective an online trainer could be for you by reading about and talking to them. Nicole Bowling is a certified personal trainer. She earned a master’s degree from Northwestern’s Medill School of Journalism. This article was originally published on Healthline.